If you love cinnamon rolls you're going to love this giant shortcut cinnamon roll cake, made using Rhodes frozen dough. Hi everyone! 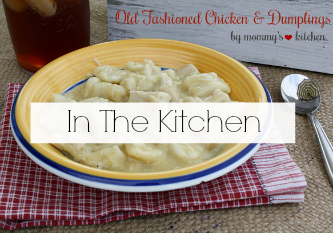 Today I'm back sharing another tasty recipe using my favorite frozen bread dough. We love cinnamon rolls at our house, but I don't always have the time to make them from scratch. 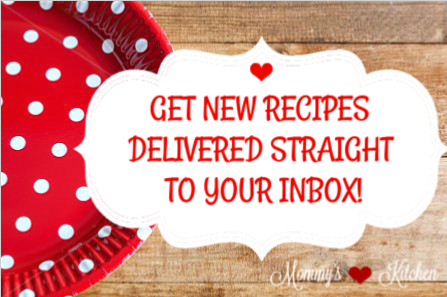 That's where this shortcut recipe comes into play. The secret behind this recipe is using Rhodes frozen dough as the base for your cinnamon roll dough and adding the remainder of the ingredients from scratch. Rhodes frozen dough is perfect for baking because it tastes just as good and bakes up soft and fluffy like homemade bread dough. We've all heard the saying that "everything is bigger in Texas" and that holds true for today's recipe for this giant Cinnamon Roll Cake. This cinnamon roll cake is filled with soft, gooey cinnamon layers, a lightly browned crust, and topped with a simple vanilla glaze. 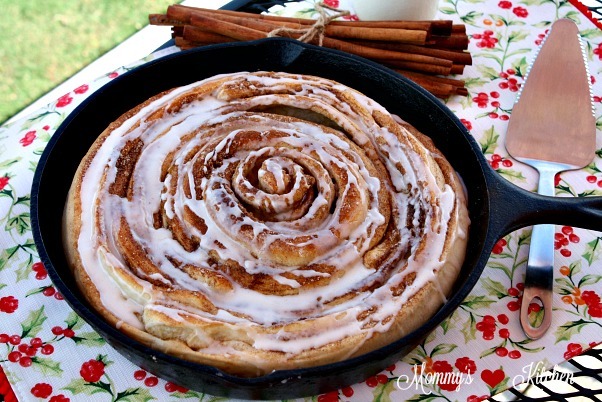 If you love cinnamon rolls, then you're going to love this giant cinnamon roll. 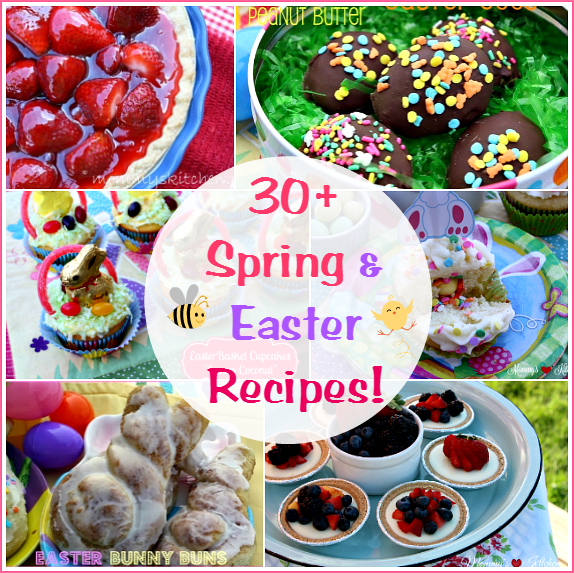 I baked this recipe in my 11 inch cast iron skillet, but you can also use a large pie plate. This cinnamon roll cake looks so pretty when plated because you can see all the ooey-gooey layers once it's cut. 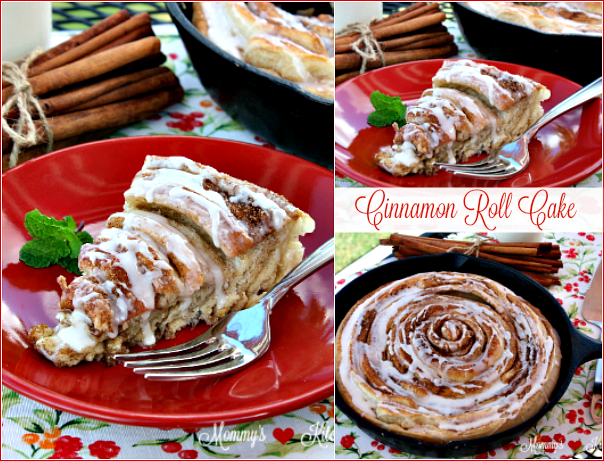 This recipe is a must bake if you have a cinnamon roll lover in your house. 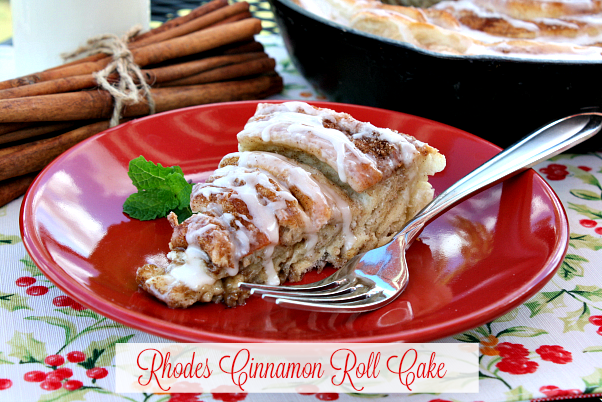 If you would like to get this recipe, head over to the "Rhodes Out of the Oven Blog" where I'm guest posting today, and sharing the full recipe with step by step photos on how to make this delicious shortcut cinnamon roll cake. Place the dinner rolls on a large baking sheet that has been sprayed with non stick spray. Let the rolls thaw until soft, but still cold. On a lightly floured surface combine the rolls into one dough ball. Knead the rolls together for 2-minutes to combine the rolls. Roll the dough into a 15 x 12 inch rectangle. If the dough resists a bit, let the dough rest for about 5 minutes and continue rolling again. Using a pastry brush, spread the softened butter evenly on top of the dough. In a small bowl combine the cinnamon, sugar and brown sugar. Sprinkle the sugar mixture over the dough. Spray an 11-12 inch cast iron skillet or a 10 inch pie plate with non stick baking spray. Using a pizza cutter or sharp knife, cut the dough into seven 1 1/2 inch strips. Loosely roll up on strip into a coil and place it in the middle of the skillet or pie plate. Coil the remaining 6 dough strips loosely around the center roll to make one large cinnamon roll. Pinch the ends together each time you add a dough strip. You want the pieces to be a bit loose so the dough has room to expand as it rises. Some of the filling may fall out as you roll the dough pieces, but you can just sprinkle it on top before rising. Cover the skillet or pie plate with plastic wrap that has been sprayed with non stick spray and allow the dough to rise in a draft free place, until double in size (about 1 hour). Preheat the oven to 350 degrees. Bake the cinnamon roll cake for 30 - 35 minutes or until the top is golden brown. If the top browns too quickly cover with aluminum foil. As the cake bakes don't be alarmed if a few spots rise up more than others. When you remove the cake from the oven to cool those spots will go down. Place cake on a baking rack to cool for about 15 minutes before drizzling with vanilla icing evenly over the top. Slice and serve warm. This cake is best served the same day. Cook’s Note: One 16 ounce loaf of Rhodes Frozen White Bread Dough can be substituted for dinner rolls. Thank you so much. It was delicious!!! 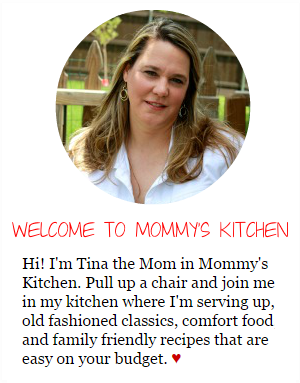 It's so perfectly gorgeous Tina. I.WANT.SOME! Thanks for sharing. Great idea! These cinnamon roll cake surely tastes excellent! This seriously looks incredible. We have donuts every Sunday morning as part of our family tradition, but this recipe would be a great way to mix it up. It's still a sweet dessert, but something different. Wow this looks absolutely delicious! You make it looks so scrumptious! Now I have to pin this and learn to make this for later. This recipe looks so divine. I'm a big cinnamon roll fan. I'd definitely make this! That looks way too good. I am going to have to make this with my kids sometime soon. Now I am craving something sweet. 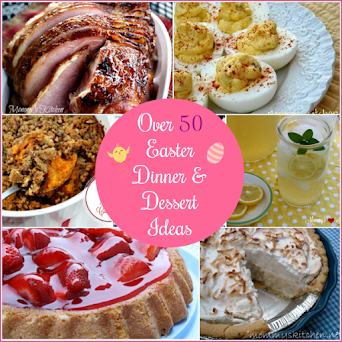 I am always looking for new dessert recipes to try. This looks so delicious and easy to make. I will have to get the ingredients I need to make this for dessert this weekend. Wow! What a GREAT idea!! My mom makes homemade cinnamon rolls all the time. She would love this! I'm sharing it with her now! First, I'd like to thank you for sharing this idea. I never would have thought that using Rhodes Frozen dough can make such an awesome delicious treat. 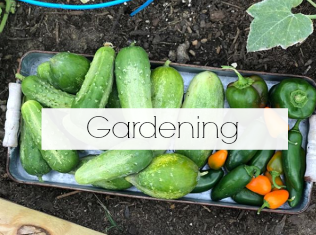 It sure cuts down on the time to make our family favorite! I can't wait to make a huge cinnamon roll cake too! WElp I know what I am making next weekend! YUM! 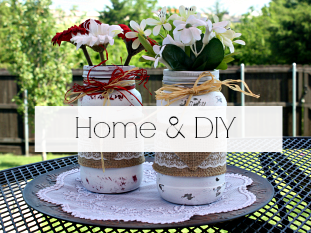 THis is a great idea and looks super easy to make too. 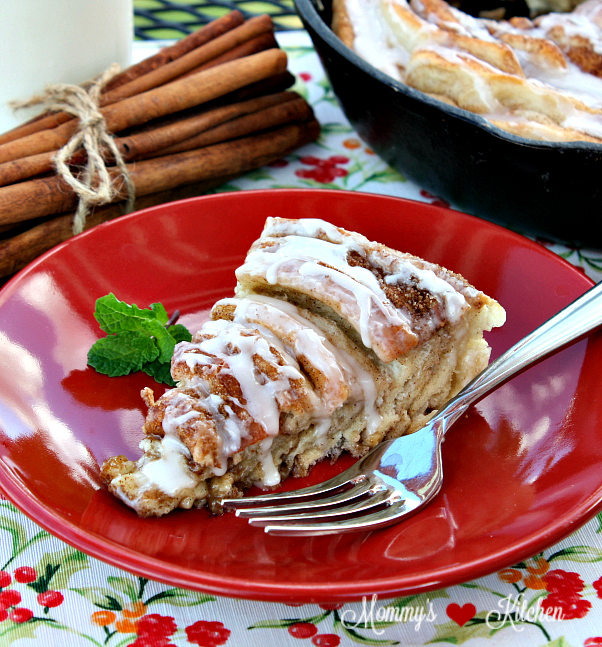 My kids LOVE cinnamon rolls so i know this will be a hit with them! That is deliciously irresistable. Yummy!